Activists and advocates for marijuana reform marched in Center City to celebrate recent laws passed in Philadelphia and Pennsylvania. 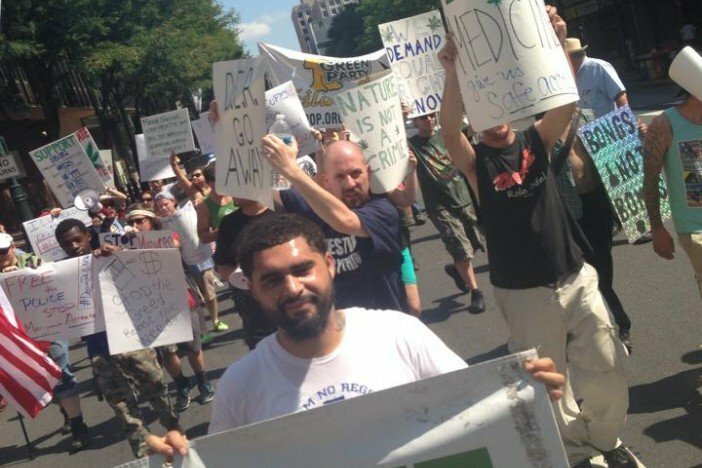 The march, organized by PhillyNORML, began Sunday afternoon at the corner of 8th and Market Streets and proceeded to City Hall. PhillyNORML, the local chapter of the National Organization for the Reform of Marijuana Laws, is now fighting for new legislation that would fully legalize marijuana. Philadelphia became the largest city in America to decriminalize pot in Fall 2014 and Governor Tom Wolf signed legislation in April making Pennsylvania the 24th state to legalize medical marijuana. The group claims State Representative Jordan Harris, who represents the 186th legislative district, will soon introduce a bill that would legalize marijuana.